Take a look around Athens at any given meal time and you’ll see a little bit of everything: sweatpant-wearing students, business casual lunch meetings, lengthy family feasts and cure-all hangover breakfasts. 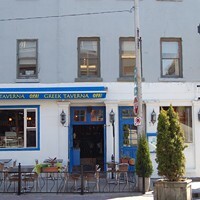 “We’re simple, we don’t try to be anything that we’re not,” says Evangelos Panopalis of his family’s longstanding Quinpool Road institution, which has been a homestyle gathering place since 1982. 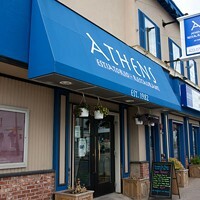 One of the city’s original sources for authentic Greek cuisine, and most reliable spots for home-cooked comfort, Halifax’s Athens is a destination for your bucket list.